HitecVision’s philanthropic responsibility initiative with the humanitarian organisation Kirkens Bymisjon (The Church City Mission of Norway) started in 2013, and to this date represents the establishment of three full-service bicycle repair shops. PAAHJUL bicycle repair shop provides top quality customer service while at the same time providing on-the-job training for victims of substance abuse problems, helping them make their way back into the workforce. 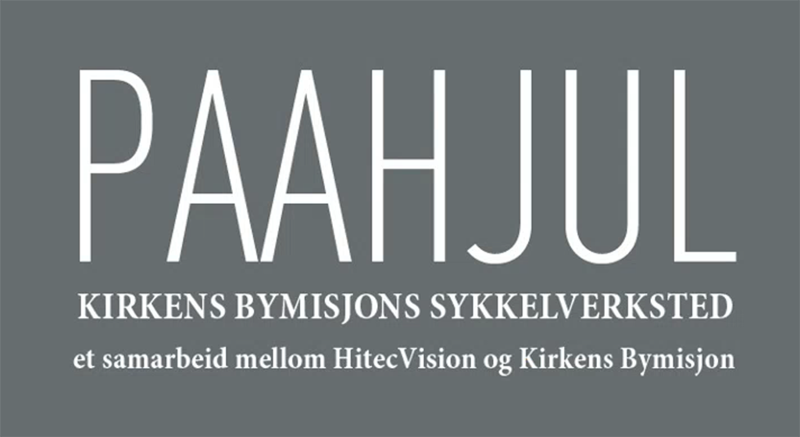 HitecVision has traditionally donated to deserving causes, in the Stavanger region and elsewhere globally. HitecVision joined forces with Kirkens Bymisjon to play a more active role in the interface between society and the corporate landscape. Combining HitecVision’s competence as entrepreneurs with Kirkens Bymisjon’s well-reputed humanitarian position in the society, we formed the social entrepreneurship project PAAHJUL (“OnWheels”). PAAHJUL combines HitecVision’s serial entrepreneur model and Kirkens Bymisjon's social entrepreneur model to contribute capital, competence, and our joined network to create lasting value and positive returns to society. 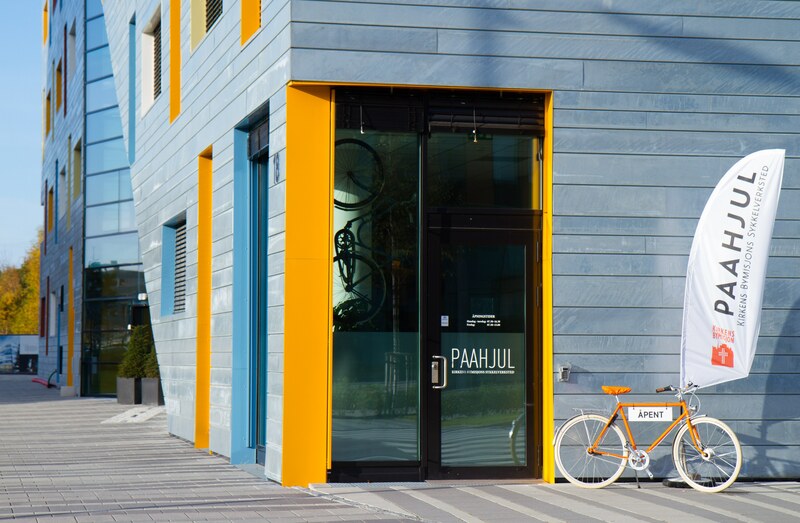 The original bicycle repair shop opened in Stavanger in 2013, the second shop opened in 2015 at Hinna, Stavanger and most recently the third shop in August 2016 at Barcode, Oslo. Their objective being each to hire four-to-six new people a year and help them adjust to the routines and expectations of a workplace. Furthermore, they each assist at least one-to-two persons beyond the PAAHJUL experience and further into standard labour. In order to achieve this overall target, HitecVision support the project with necessary funds and competence to assist in the daily management and operation, while Kirkens Bymisjon has the key responsibility for the people taken into the program. The daily operation of each shop is led by two full time employees who possess a combination of professional bicycle repair expertise as well as experience from working alongside persons with special needs. All shops are ideally located, in the city center or in growing neighborhoods, surrounded by large corporate offices and vibrant leisure activity from apartments, coffee shops and restaurants. PAAHJUL has made a positive mark to these neighborhoods.